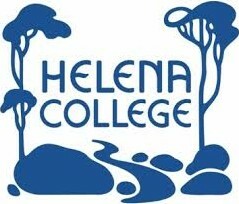 Helena College is an independent, co-educational and non-denominational day school guided by the founding principles of peace, compassion and tolerance. The College was authorised as an International Baccalaureate World School in 2012. Situated in the picturesque Hills district of Perth, Western Australia, at the crest of the Darling Range, the College provides an enjoyable learning environment. 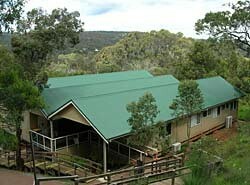 The Senior School campus is adjacent to the John Forrest National Park in Glen Forrest and the Junior School campus occupies a prominent position in Darlington commanding sweeping views of the coastal plain. The College is well placed for families in the thirteen communities of the Mundaring Shire, and with easy access from Kalamunda, Maida Vale, Midland and regions north. In every child at Treetops, we aim to inspire a passion for excellence; nurture the curiosity, creativity and imagination born within us all; awaken the human spirit; and encourage them to fulfil their absolute potential with respect to their intellectual, social, physical, spiritual and emotional development. Helena College is an independent, co-educational and non-denominational school catering for students in the hills of Perth. The Junior School is located in Darlington, with the Senior School nearby in Glen Forrest. The Junior School has a current enrolment of 220 students from Kindy to Year 6 and is a single stream school. The Senior School has 510 students from Year 7 to Year 12 in a three stream school. The guiding philosophy of the College is of the whole person development, while encouraging the pursuit of excellence. The College's educational programs are designed to develop latent talents and skills so that each student can perform to her/his capacity. The College seeks to develop students who are: * Caring, community-minded individuals * Prepared academically and psychologically for the next step in their vocation * Ready to accept challenges and with a positive attitude to learning Self-disciplined and responsible for their own learning * Strong in self-esteem * Independent thinkers and articulate speakers * Equipped to approach ethical issues using Christian values * Self-motivated (not just motivated by competition or reward) * Whilst scholastic achievement remains central to the College's objectives, students' cultural, social, moral and physical development are regarded as important and seen as fundamental in all learning experiences.